Himalaya takes its name from the Earth’s tallest mountain range, the majestic setting for this tale of rivalry and respect in the upper Dolpa district of Nepal. Tinle is the aging and bitter chief of a failing mountain community whose survival is contingent on trading salt in the lower plains. Nearing retirement, Tinle intended his older son to take over the arduous annual yak drive along the steep, storm-prone mountain pass, but the son dies during an accident. Despite the absence of foul play, it is understandably discomfiting that the only witness is his friend, Karma, who happens to be the next logical choice of successor. A schism results, with Karma setting off early with the main herd in order to beat an impending storm and Tinle, along with his dead son’s widow and child and Tinle’s youngest son, a Buddhist monk, leading a separate caravan at a later time, in accordance with ancient ritual. Tinle, though stubborn and far from his prime, makes use of his experience and tenacity to cover ground quickly, exploiting shortcuts that include a dangerous path along a crumbling lakeside ledge. He eventually catches up to Karma and the two develop a degree of mutual respect in time to face the final uphill trek during a deadly blizzard. One of the hardest things to do when making a narrative film as an outsider (Director Eric Valli is Swiss, but has lived in Nepal for decades) is to capture the unique culture of a people without losing sight of the individual personalities that compose it. It requires a balancing act between the outside-looking-in appeal of the ethnographic study (novelty, spectacle, education) and the insider intimacy of character-based psychologically-driven storytelling. Valli manages to pull it off: he features Nepalese customs and traditions in a natural way that compliments and deepens our understanding of the village’s yearly high-stakes journey as well as Tinle and Karma’s clashing egos. 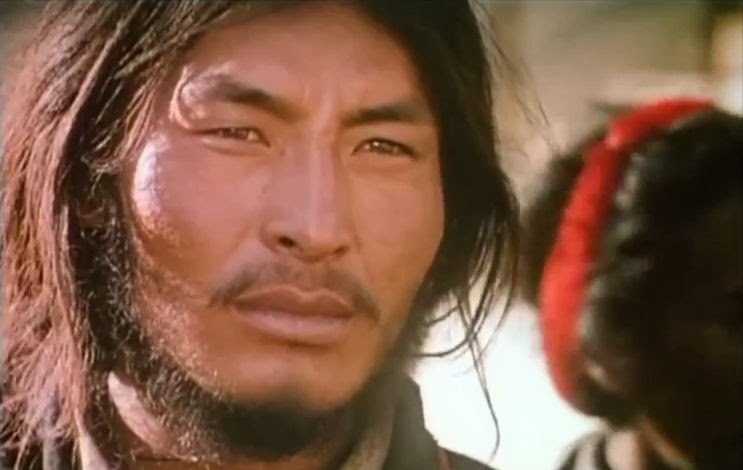 Instead of adopting a dry or distant tone, Valli throws us right in with the salt-bearing yaks and the ragtag family of shepherds. We are as invested in the interplay of their repressed anger, grief, pride and uncertainty as they overcome emotional and environmental obstacles. Karma, who is young, rebellious and progressive, seems like an obvious choice for protagonist, so I’m actually glad that Valli chose to focus primarily on the irascible Tinle, who is harder to relate to, but more intriguing, not least because he is saddled with an unusual family dynamic that contributes to his late-life character growth. The soundtrack relies on regional techniques like singing bowls, Tibetan chanting and resonant chimes, providing a rich auditory sense of place. 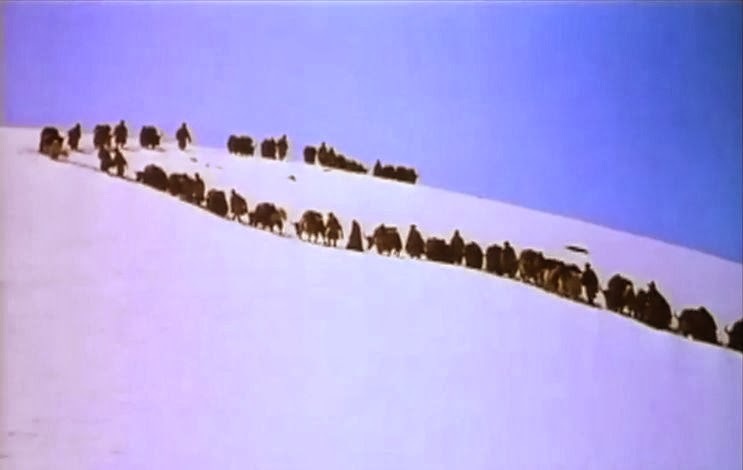 The visuals are even more evocative; Valli’s background as a National Geographic correspondent is evident in his instinct for landscape, communicating the raw power of snowcapped summits, craggy cliff-faces, undulating herds unfurling over valleys and cataclysmic storms that bleach the screen white.